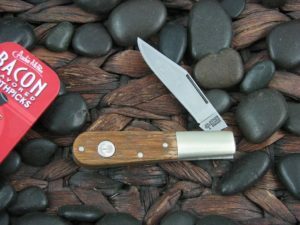 This is the Tree Brand branded Boker Copperhead; has Smooth Red Bone handles, Brass liners, and Nickel Silver bolster(s); Blade steel is 1095 and blade finish is Polished. A little bigger than expected, but otherwise very nice. 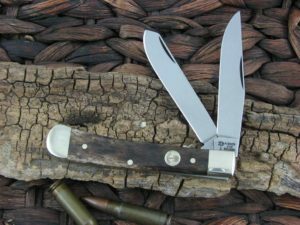 Fit and finish is better than most case knives but not quite as good as GEC. Blades are well centered, the action is smooth, bone covers look great. 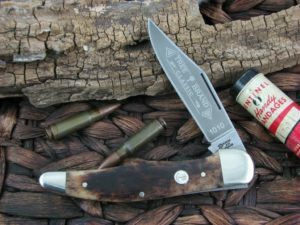 First boker and I am impressed. 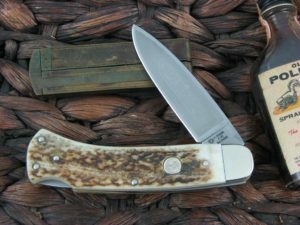 I love the heft and general look of this knife.The action is nice and fit and finish are excellent.The blade centering is excellent as well.I am very happy to have this Copperhead.Beautiful!